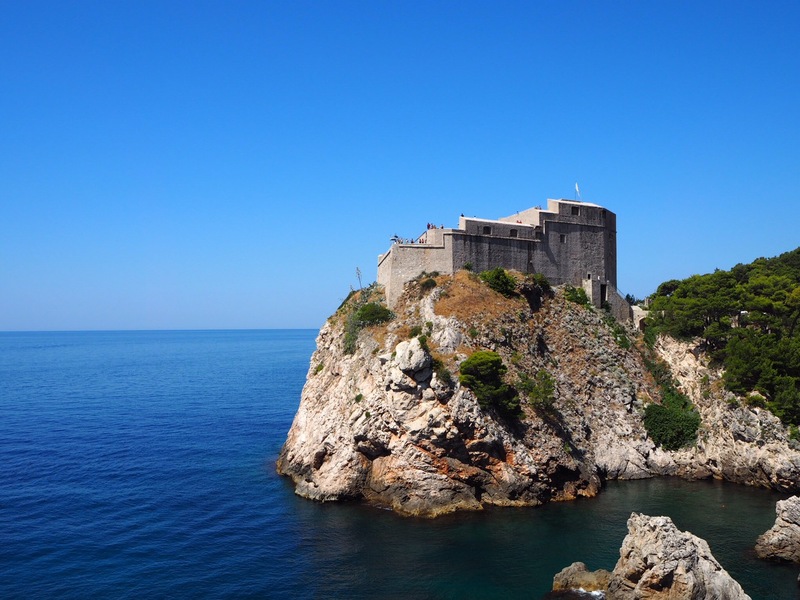 Dubrovnik, aka King’s Landing, is a dream come true for all Game of Thrones fans, but for those amongst us (myself included) who are yet to jump on that fantastical train, it is an absolute paradise nonetheless. The old town is enclosed within gorgeous stone walls, the water of the Adriatic Sea is indescribably blue, and the entire city feels like it is lost in time. It has seen its shares of wars, most recently the Homeland War, but it has recovered in a magnificent fashion, and now millions of tourists visit every year (albeit mostly to see the steps where naked Cersei descended). 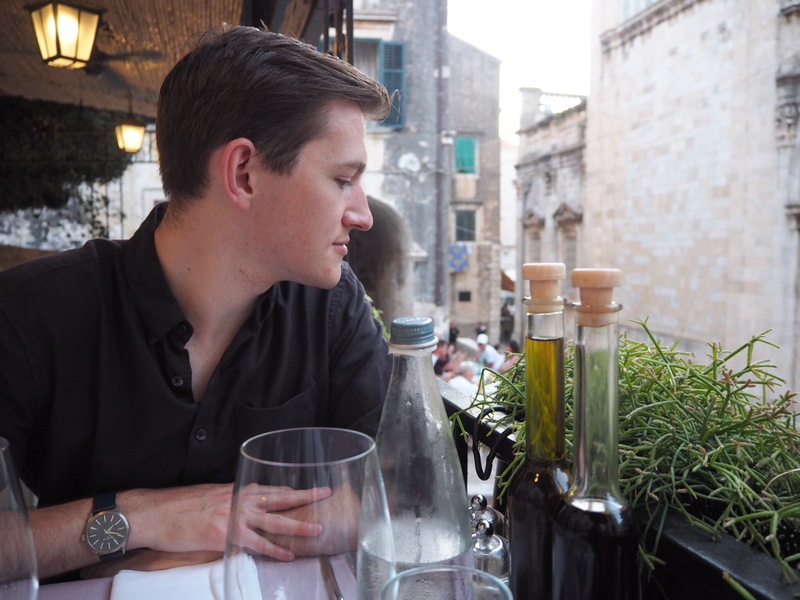 I spent a week in Croatia this August, and we started off in Dubrovnik before heading up the coast to Brač and Split. 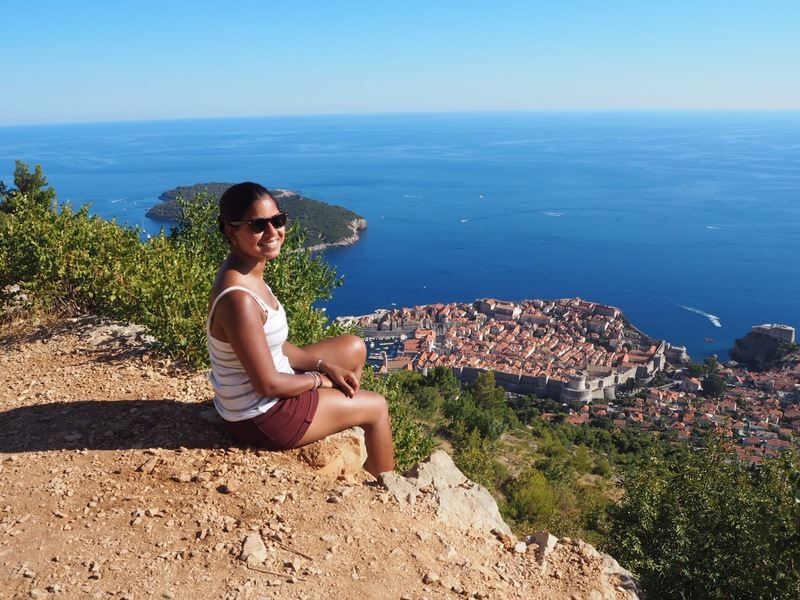 The heat was intense, with the mercury occasionally touching 40 degrees, but we persisted and walked around the city as much as we could, including climbing up the Srd hill for a spectacular view of the Dalmatian coast. And we ate. A lot. 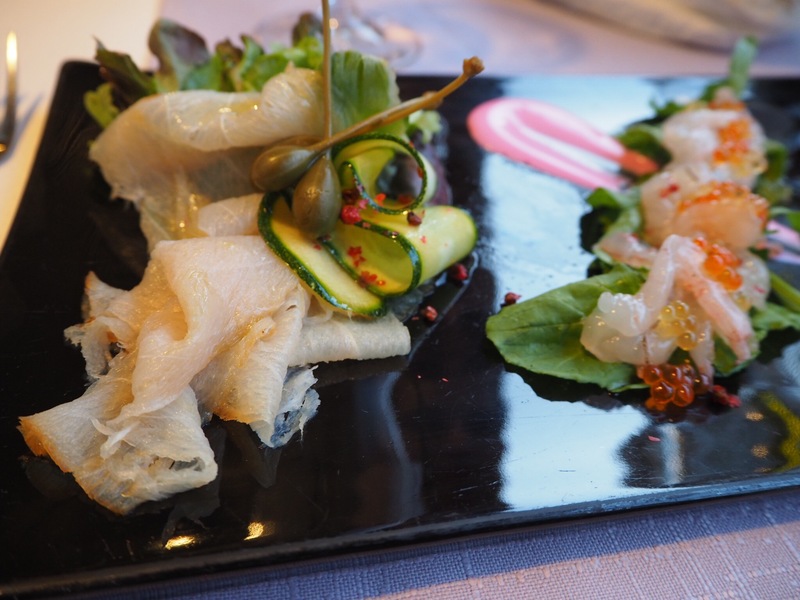 Octopus salad was on the menu every single day, and the wine flowed freely! 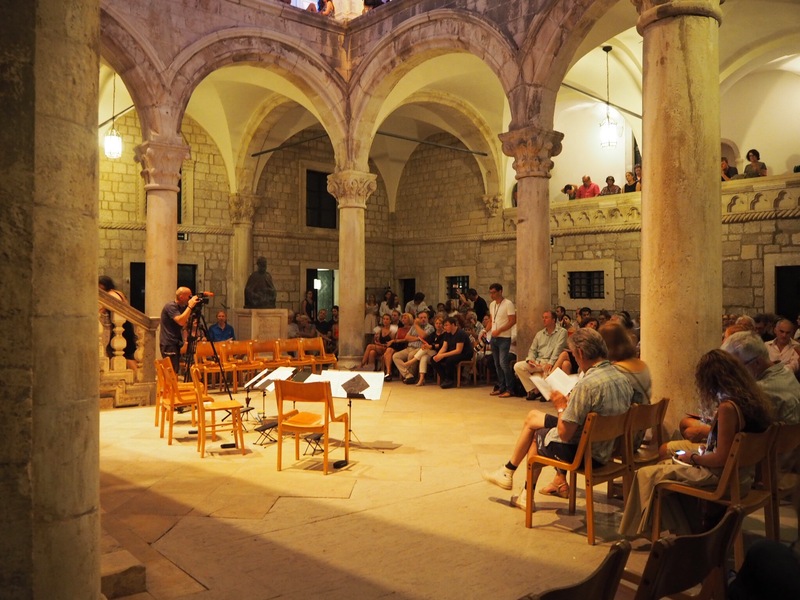 And on our second evening in Dubrovnik, we indulged in a stunning meal at the Villa Ruza Old City Bistro, followed by a guitar concert in the Rector’s Palace as part of the summer festival. 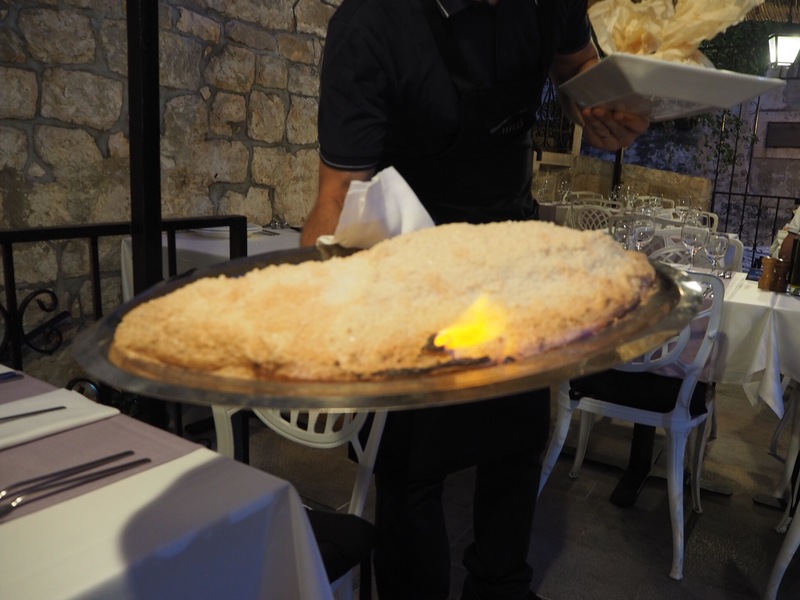 Villa Ruza is located right by the main square in Dubrovnik, with a view of the cathedral from nearly every table. Thankfully, it’s slightly tucked away and raised up from the street, so it avoids the hustle and bustle; a saving grace, especially during peak tourist season. This provides a lovely atmosphere, as well as elegance and cosiness through its upmarket decor, bamboo canopy, and beautifully set tables. 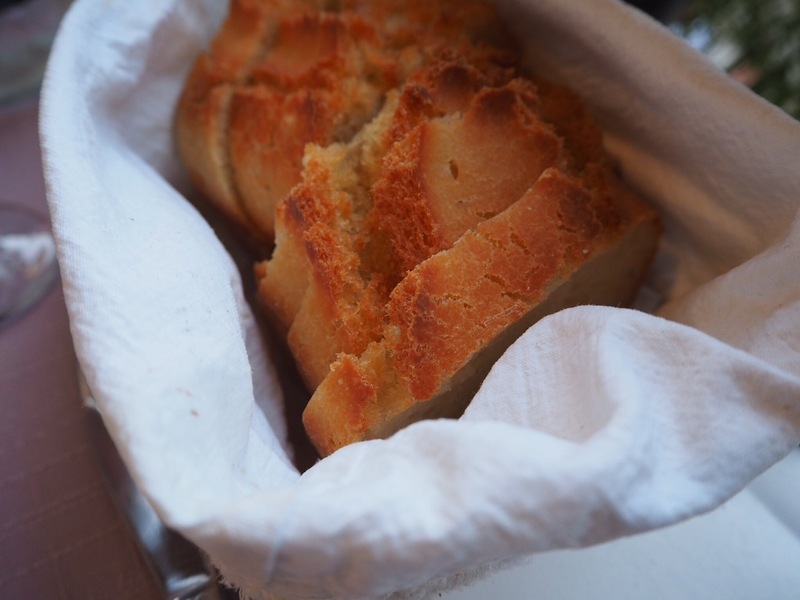 As with all Croatian restaurants, there was a bread basket to start, but quite unlike everywhere else, the bread was textured, dense, and wonderful, rather than dry and tasteless. I don’t know how much olive oil they used to make it, but it was exactly the right amount! We then received a lovely pre-appetiser (this concept reminded me a little of The Lawns), which was sundried tomato with mozzarella and caper berry. It was a very flavourful and refreshing mouthful, and the mozzarella was delightfully creamy. As we settled in and enjoyed the perfect evening temperature after a blisteringly hot day, we were brought a local white wine named POSH, which complemented the evening to a T. The creamy apricot flavours swirled in my mouth, and as we were largely eating fish, the wine was a perfect match. 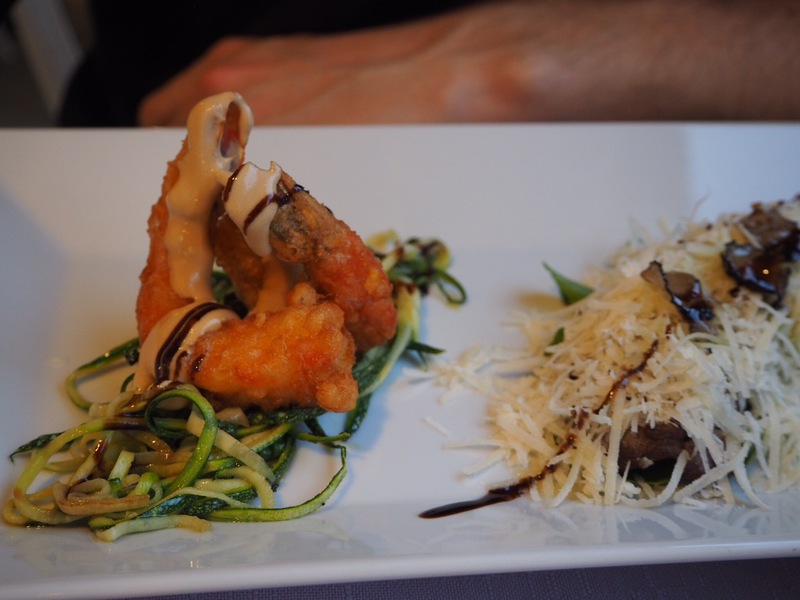 Prawn tempura with creamy soy: crunchy and delicious, and the creamy soy was truly… creamy. Beef with truffle: My friend had to pause and have a little moment with this one. The smell of truffles wafted across the table, and the beef was very tender, but just a wee bit dry for my taste. Smoked swordfish: Quite strong and smoky, but in a good way, and a lovely crunch from the courgettes. 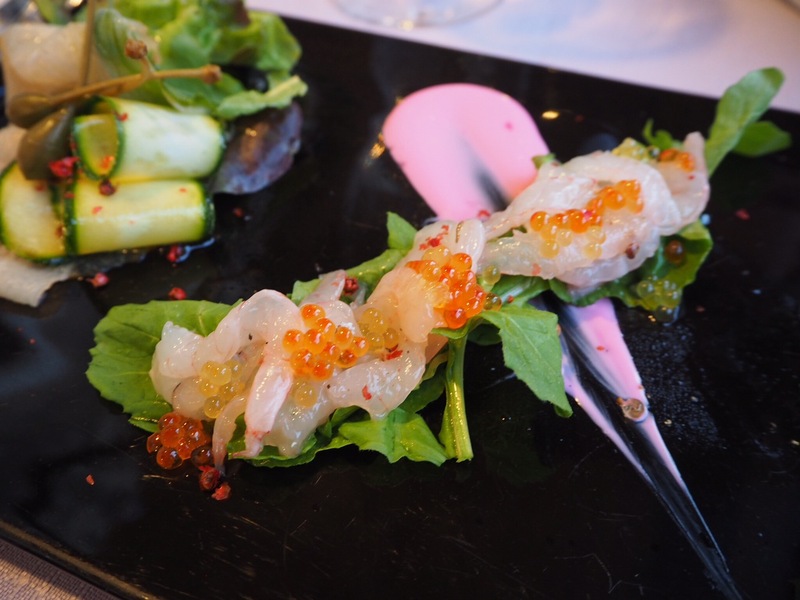 Prawn carpaccio: My favourite by far. I loved the caviar on top, and the pinky mayo was a funny little touch. Our waiter winked as he said ‘It tastes better than it looks’, and he was right! 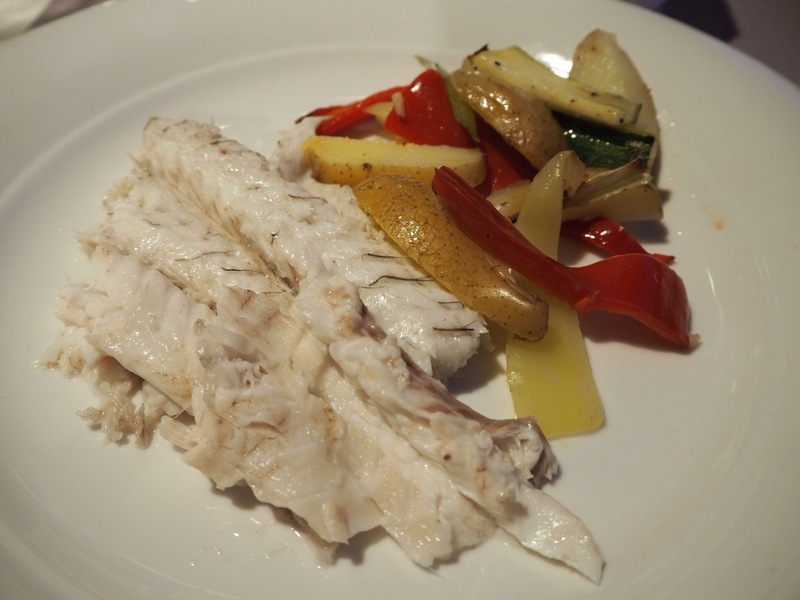 The accompanying roasted veggies in parchment were beautifully presented, but unfortunately lacked flavour. It was fine once we added salt and pepper, but a sprinkling of herbs or similar would have been welcome. 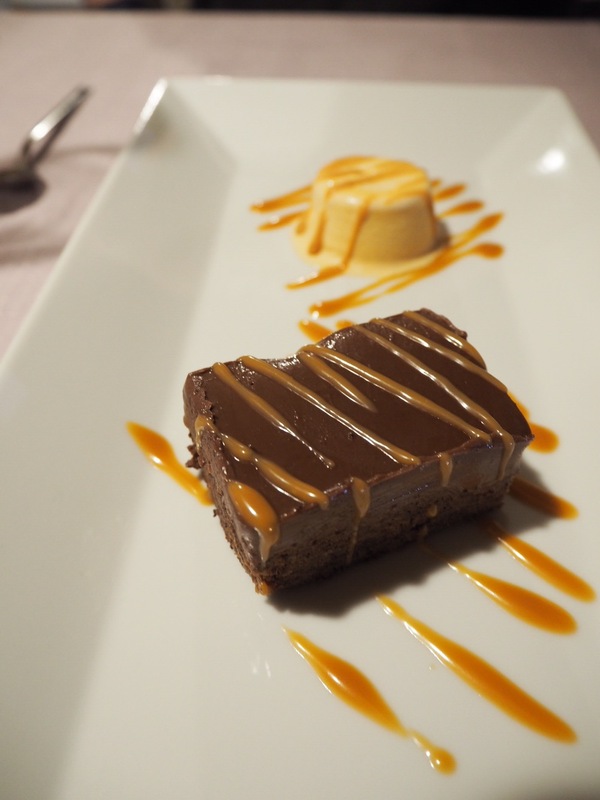 We were so full at this point that we nearly skipped dessert, but simply weren’t allowed, and so we feasted our eyes on the elongated plate of semi freddo and chocolate carob. The former was quite simply an incredible, gorgeous, honeycomb delectable delight, and we fought over the last bite with our little spoons. The latter was a slightly unusual flavour, but the combination of the creamy upper layer and the crunchy lower base was fantastic. We were also brought a bit of red wine liqueur to go with the desserts, which was made by the chef’s mother herself. Sweet and sticky, it went down a treat and made us slightly woozy in anticipation of the guitar concert! Before our trip, many people had told us that Croatian service left a lot to be desired, but just about everywhere, and particularly at Villa Ruza, we were treated with utmost friendliness and respect, despite being the peak tourist season, when it’s easy to get annoyed at the droves of foreigners. A pleasant surprise, and a wonderful way to be introduced to this fascinating country. I definitely want to come back and explore more of what it has to offer, but in the meantime, I cannot recommend Dubrovnik enough. 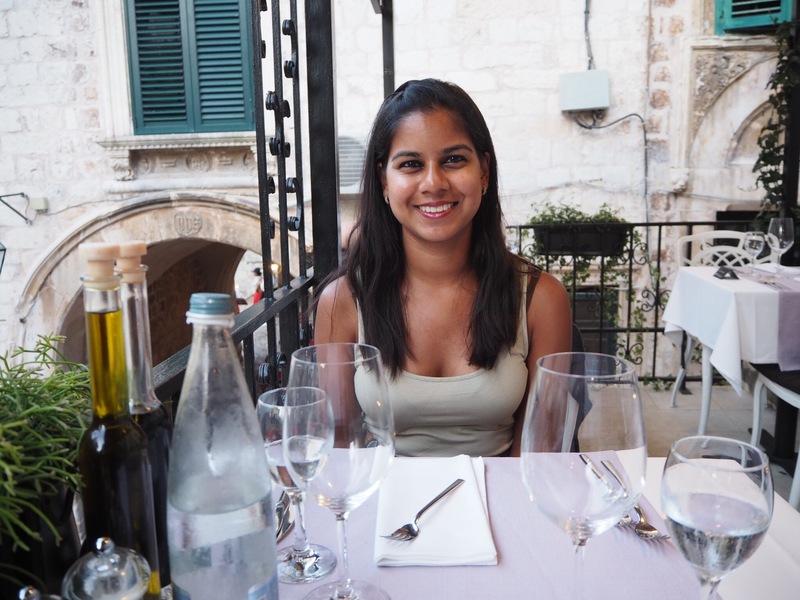 And if you do go, be sure to pay this old city bistro a visit – it will be one of your best dining experiences for sure! I was a guest at Villa Ruza, but as always, all opinions are my own.